Henry Scougal (1650-1678) was a Scottish theologian, minister and author. He was the second son of Patrick Scougal and Margaret Wemys. His father was Bishop of Aberdeen for more than 20 years. From his youth, Scougal spent his free hours in reading, meditation and prayer. He especially enjoyed studying the historical passages of the Old Testament. In 1665 Scougal entered King’s College, University of Aberdeen, and, after graduation, was promoted to the office of Professor of Philosophy. 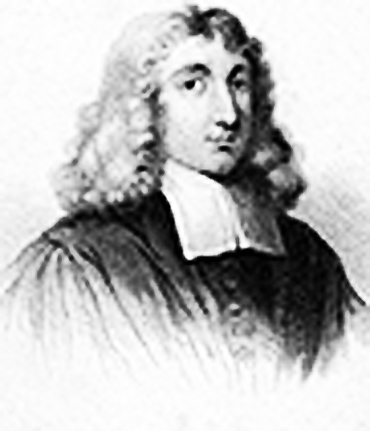 In 1672, Scougal was ordained and appointed minister of a church 20 miles from Aberdeen, where he served for one year before returning to take the office of Professor of Divinity at King’s College, where he taught for five years. Scougal produced a number of works while a pastor and professor of divinity at King’s. His most recognized work, The Life Of God In The Soul Of Man, was originally written to a friend to give spiritual counsel. This work was almost universally praised by the leaders of the Great Awakening, including George Whitefield, who said he never really understood what true religion was until he had digested Scougal’s treatise. The Superior Excellency of the Religious. Proverbs 12:26. The Indispensable Duty of Loving our Enemies. Luke 6:27. The Necessity and Advantage of Early Afflictions. Lamentations 3:27-28. That There are but a Small Number Saved. Luke 13:23. The Duty and Pleasure of Praise and Thanksgiving. Psalm 108:15. On the Nativity of Our Saviour. Psalm 2:11. On the Passion of Our Saviour. Lamentations 1:12. Preparation for the Holy Sacrament. Joshua 3:5. Of the Importance and Difficulty of the Ministerial Function. 2 Corinthians 2:16.